Whether you prefer tent accommodations, glamour camping (aka glamping), or enjoying the great outdoors from the cozy confines of our charming cottage you will always remember your visit to Mother Lode River Center. I have never been camping in this kind of environment. I felt like I was at a 5 star camping resort. We were so impressed by everything and everyone. Exclusive to you and our guests, you’ll get to take advantage of our newly expanded 20-acre camping accommodations, which stretch a half mile of picturesque riverfront along the South Fork American River. Enjoy this low rate per person for every night you stay here at Mother Lode River Center. No tent?? Not a problem! Check out our other accommodations options on the right. The Mother Lode River Center facility is for activity participants only. The minimum age is eight years old. There are a few other important guidelines we’d like you to be aware of while using the facility. BYOT (Bring your own tent). 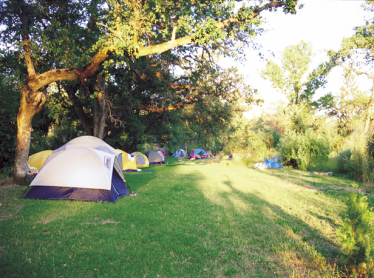 Grab one of our amazing campsites along the American River. Don’t have your own tent but want to camp out??? Rent one of our 2 person dome tents. Feel like roughing-it but prefer a little extra comfort? 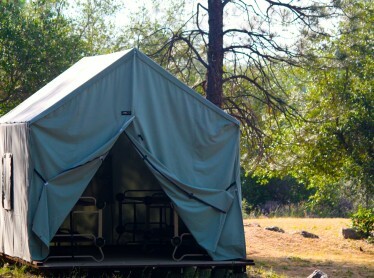 Enjoy camping in one of our canvas cabin tents. 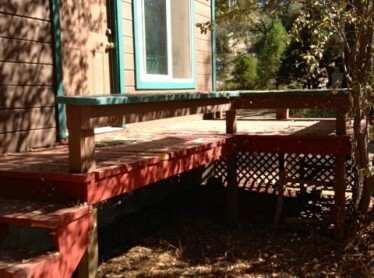 Sleeps 4 – 8 people. Available for two night stays and large events, try our riverfront vacation house this summer! Sleeps 4-6 people. 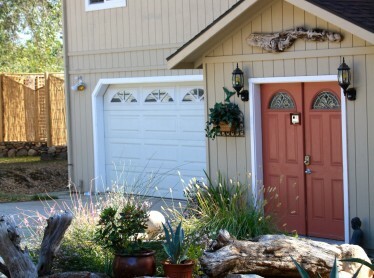 Lodging in our cozy and charming river cottage allows you to enjoy the warmth, privacy and amenities of an actual home. It’s perfect for family camping. Sleeps 3-4 people.